We are delighted to inform you that we will be attending the annual German Studies Association conference in Pittsburgh PA, on September 27th-30th, 2018. Please stop by our stand to browse our latest selection of books at discounted prices & pick up some free journal samples. Berghahn Books is very pleased to invite you to a wine reception at the GSA co-hosted with the DEFA Film Library, University of Massachusetts Amherst. 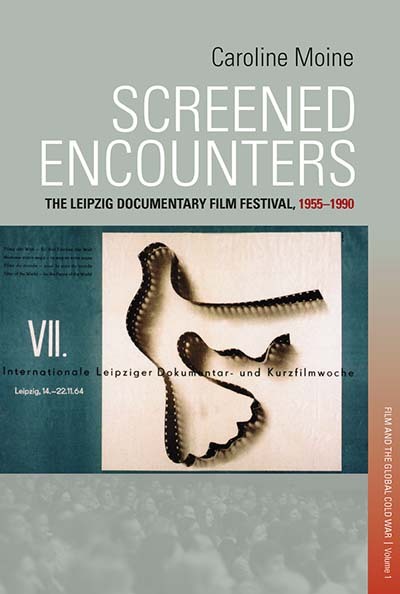 Please join us on Friday, September 28th from 5-6pm in the book exhibit area to celebrate the publication of SCREENED ENCOUNTERS: The Leipzig Documentary Film Festival, 1955-1990 by Caroline Moine, the first volume in our new Film and the Global Cold War series. If you are unable to attend the conference, we would like to provide you with a special discount offer. 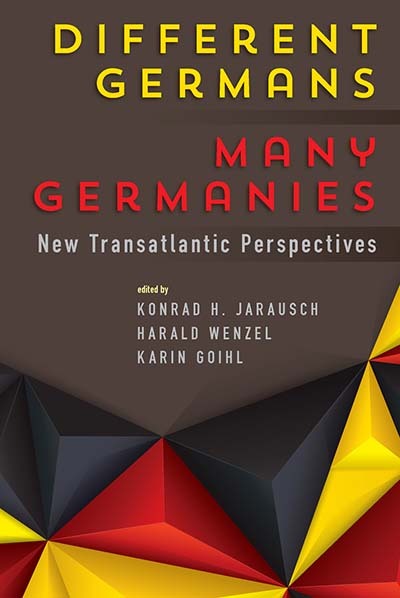 In celebration of the New Academic Year, receive a 50% discount, until 30th September 2018 on all German Studies titles found on our website. At checkout, simply enter the discount code GSA18. We are also offering FREE access to the journal, German Politics and Society until the end of the year! Please use code GSA18 and redeem here. 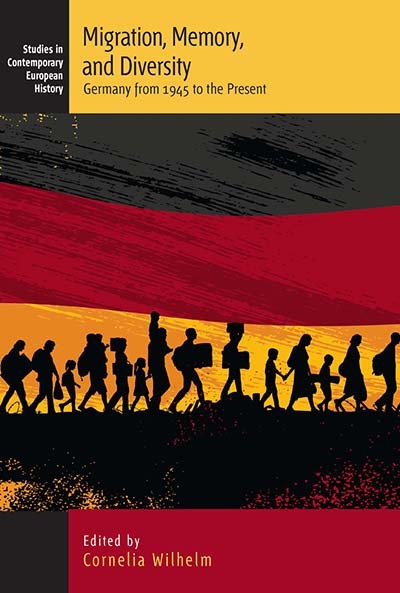 Browse our new 2018-19 German Studies Catalog online or visit our website for a complete listing of all published and forthcoming titles. Below is a preview of some of our newest releases on display. 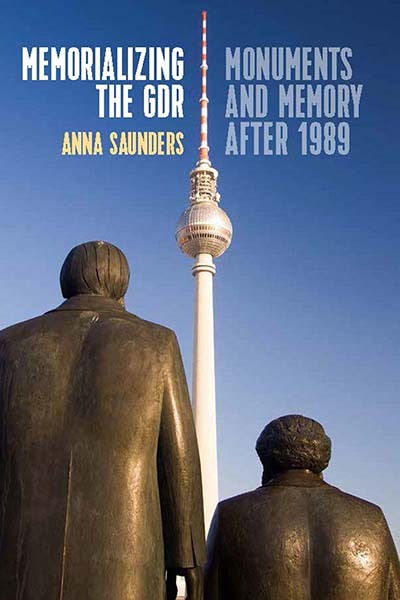 Memorializing the GDR provides the first in-depth study of this contested arena of public memory, investigating the individuals and groups devoted to the creation or destruction of memorials as well as their broader aesthetic, political, and historical contexts. 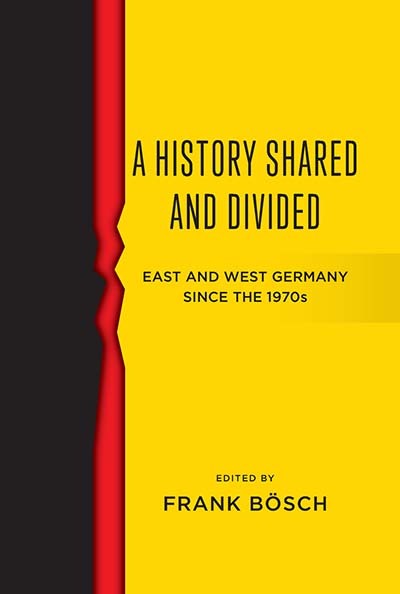 Emphasizing the interrelationship of built environment, memory and identity, it brings to light the conflicting memories of recent German history, as well as the nuances of national and regional constructions of identity. 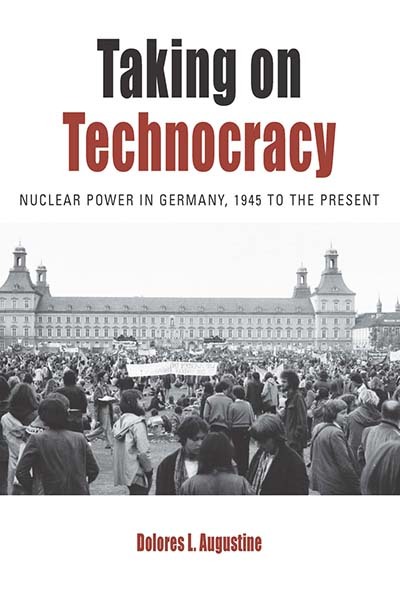 Taking on Technocracy gives a brisk account of this dramatic historical moment, showing how the popularization of scientific knowledge fostered new understandings of technological risk. 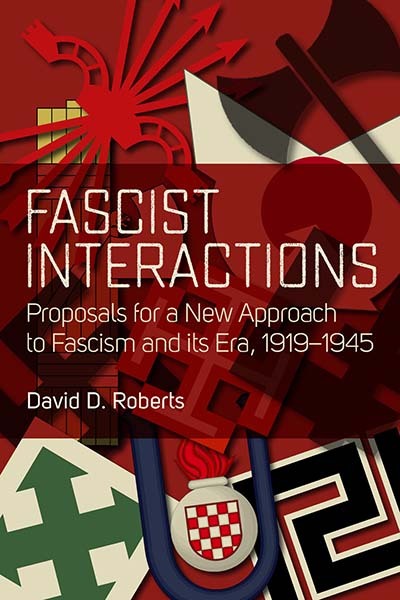 Combining analyses of social history, popular culture, social movement theory, and histories of science and technology, it offers a compelling narrative of a key episode in the recent history of popular resistance. How does an urban community come to terms with the loss of its future? The former socialist model city of Hoyerswerda is an extreme case of a declining postindustrial city. Built to serve the GDR coal industry, it lost over half its population to outmigration after German reunification and the coal industry crisis, leading to the large-scale deconstruction of its cityscape. This book tells the story of its inhabitants, now forced to reconsider their futures. 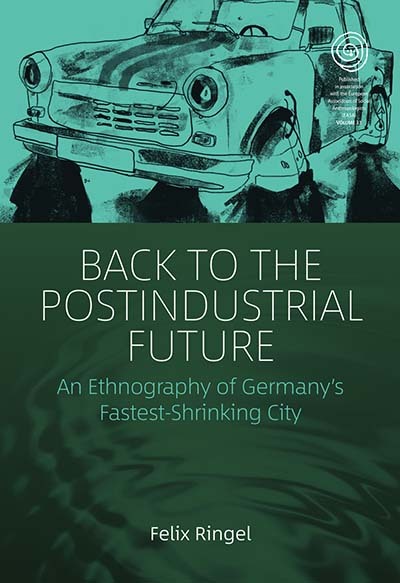 Building on recent theoretical work, it advances a new anthropological approach to time, allowing us to investigate the postindustrial era and the futures it has supposedly lost. 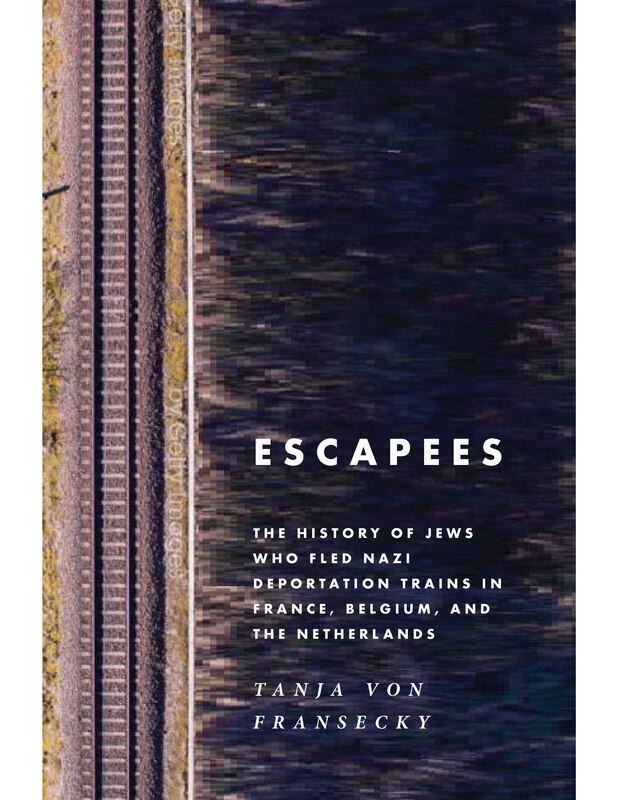 In the past two decades, the subject of post-Holocaust justice has experienced a surge of interest among historians and legal scholars. 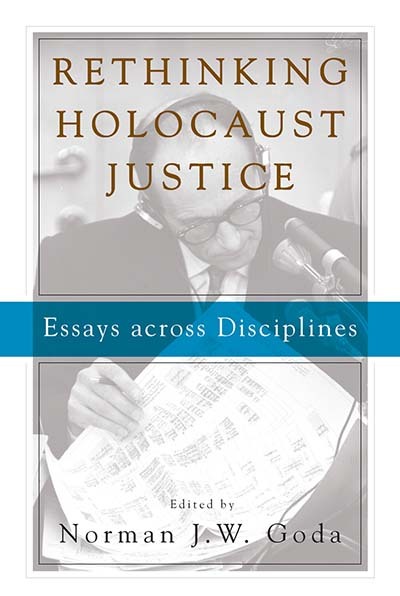 Rethinking Holocaust Justice offers a multifaceted approach to post-Holocaust justice, bringing together leading scholars from a variety of disciplines to explore the complexity of these issues. How was Nazism received in the Middle East? 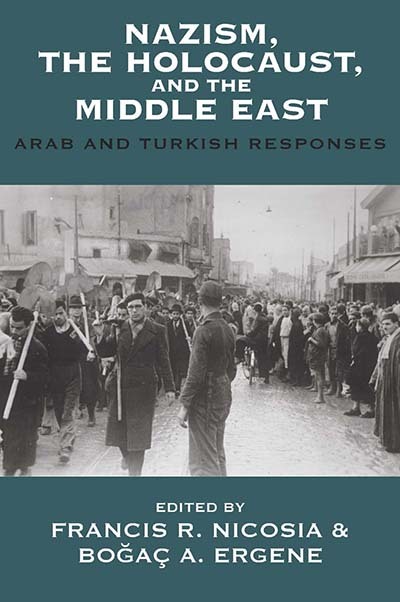 By focusing on Arab and Turkish reactions to Nazi anti-Semitism and persecution of the Jews in Germany and Europe, this collection offers a fresh perspective on institutional and popular attitudes towards Jewish communities throughout the Middle East during the 1930s and 1940s. 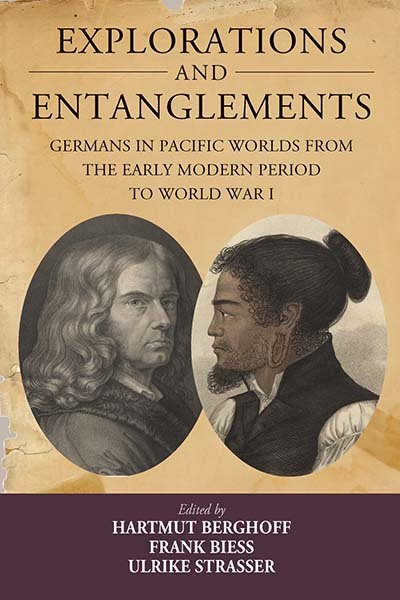 Published in Association with the German Historical Institute, Washington D.C.
Explorations and Entanglements reconstructs the German elements in the overlapping cultural circuits and complex oceanic transits of the “Pacific Worlds.” It concentrates on the pre-1914 period and encompasses scientific, cultural, religious and commercial exchanges. It opens a gate to a fascinating and hitherto much neglected arena of transnational encounters. 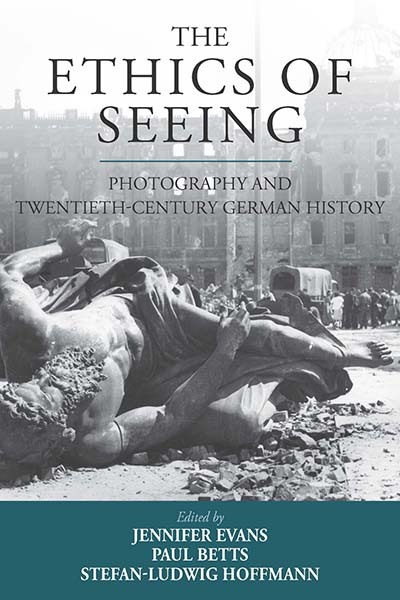 The Ethics of Seeing brings together an international group of scholars to explore the complex relationship between the visual and the historic in German history. Emphasizing the transformation of the visual arena and the ways in which ordinary people made sense of world events, these revealing case studies illustrate photography’s multilayered role as a new form of representation, a means to subjective experience, and a fresh mode of narrating the past. 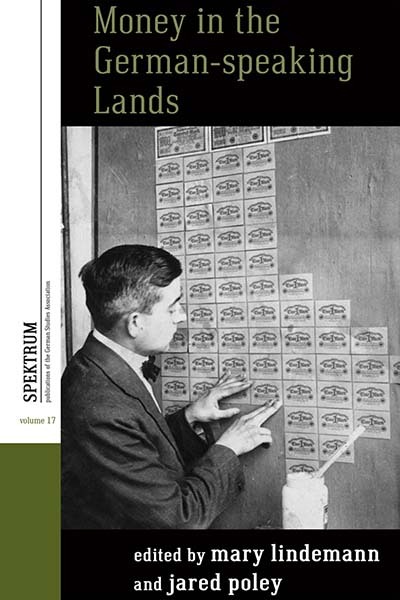 Published under the auspices of the German Studies Association, Spektrum offers current perspectives on culture, society, and political life in the German-speaking lands of central Europe—Austria, Switzerland, and the Federal Republic—from the late Middle Ages to the present day. 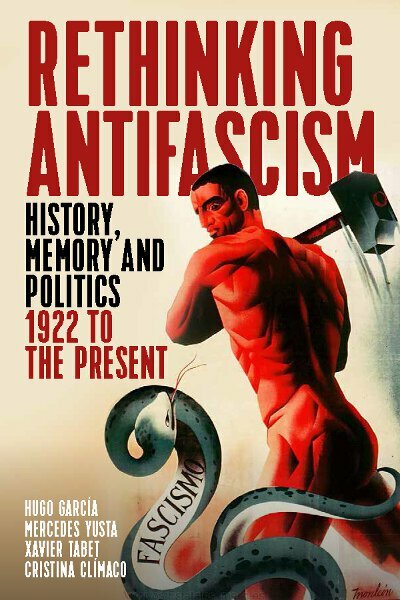 Its titles and themes reflect the composition of the GSA and the work of its members within and across the disciplines to which they belong—literary criticism, history, cultural studies, political science, and anthropology. The modern vision of historical violence has been immeasurably influenced by cultural representations of the Second World War. 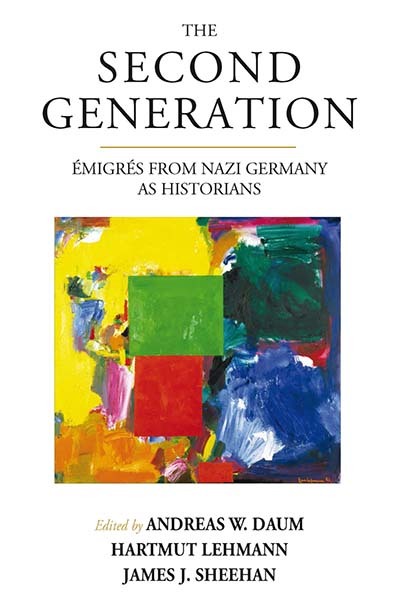 This volume takes a historical perspective on World War II museums and explores how these institutions came to define the broader European, and even global, political contexts and cultures of public memory. 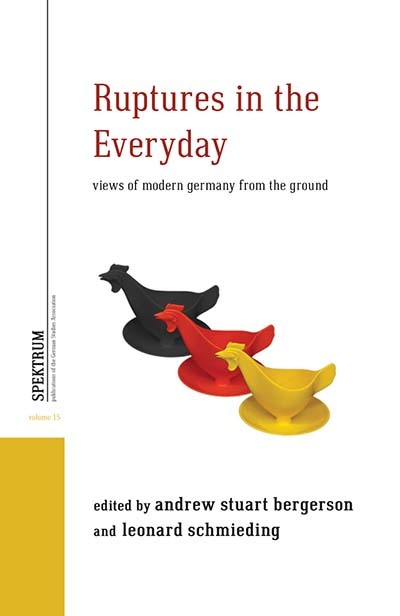 Through case studies that range from Bruckner to the Beatles and from symphonies to dance-club music, this volume looks at how German musicians and their audiences responded to the most significant developments of the twentieth century, including mass media, technological advances, fascism, and war on an unprecedented scale. 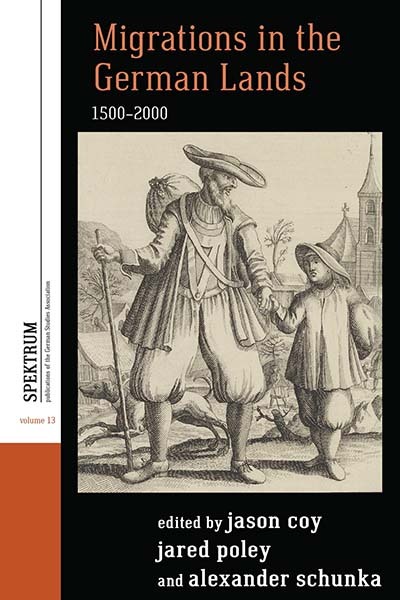 This volume traces money in German-speaking Europe from the late Renaissance until the close of the twentieth century, exploring how people have used it and endowed it with multiple meanings. 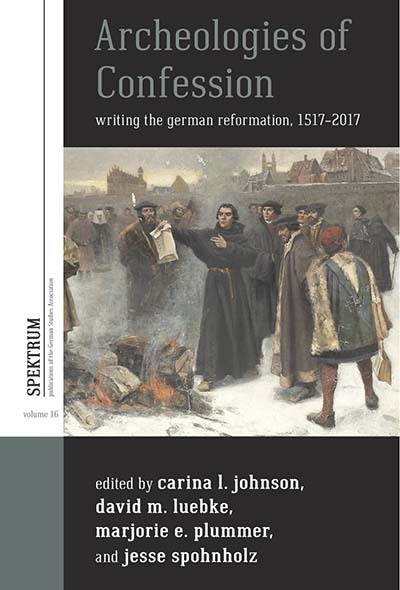 The essays collected here examine the formation of religious identities during the Reformation in Germany through case studies of remembering and forgetting—instances in which patterns and practices of religious plurality were excised from historical memory. 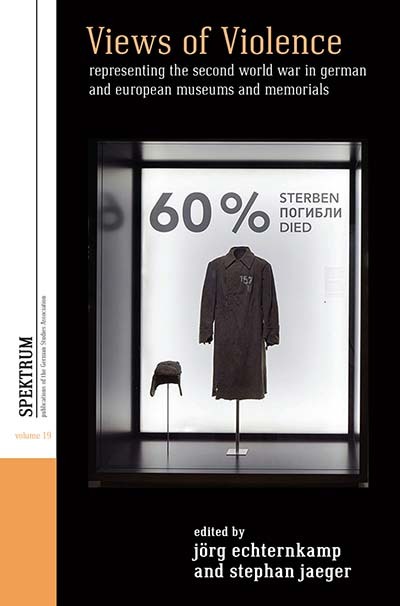 German Politics and Society is the only American publication that explores issues in modern Germany from the combined perspectives of the social sciences, history, and cultural studies. 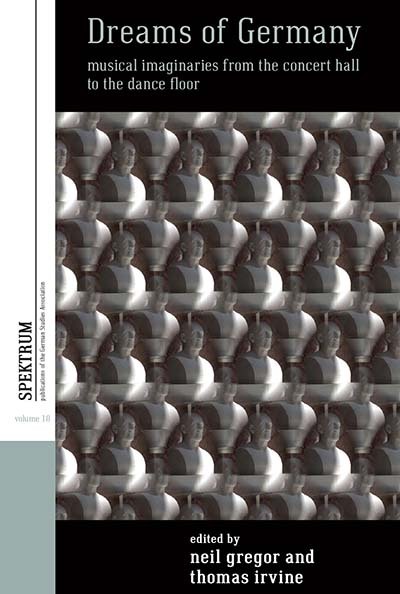 We are offering free access to this journal until the end of the year! Please use code GSA18 and redeem here. Aspasia aims to transform European women’s and gender history by creating a European history of women and gender that encompasses more than the traditional Western European perspective. The journal serves as a platform for theoretical and methodological articles as well as empirical studies on the history of concepts and their social, political, and cultural contexts. Published in association with the Leo Baeck College and the Michael Goulston Education Foundation. For over 40 years, European Judaism has provided a voice for the postwar Jewish world in Europe. 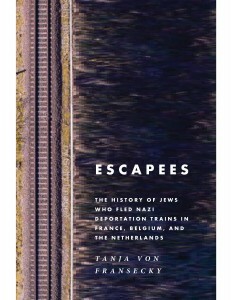 It has reflected the different realities of each country and helped to rebuild Jewish consciousness after the Holocaust. Historical Reflections/Réflexions Historiques (HRRH), which publishes articles in both English and French, is committed to exploring history in an interdisciplinary framework and with a comparative focus. The Journal of Educational Media, Memory, and Society explores perceptions of society as constituted and conveyed in processes of learning and educational media.